The off-season of foreign trade is coming! Are you ready? Home > News > The off-season of foreign trade is coming! Are you ready? Every June, July and August, foreign trade is very bad, because many European customers are on vacation in the summer. For many Europeans, summer vacations are a pretty good time of year, and choosing a vacation place and staying comfortably for a while is an important part of their lives. 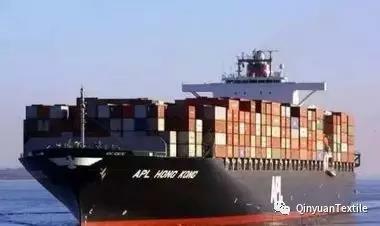 A questionnaire survey on "off-season" foreign trade found that more than 80% of foreign trade enterprises reported that summer business was "very cold", with orders falling in varying degrees. Fifty-seven percent of respondents said orders had fallen by more than 20 percent from spring to summer, with a large number of businesses reporting a fall of more than 30, making the off-season hard. Another 28 percent of respondents said that orders fell by less than 20 percent, falling within the normal range of annual off-season fluctuations. In addition, less than 15% of businesses said orders had not been affected by the off-season. The off-season of foreign trade is a relative concept. It is mainly aimed at foreign trade enterprises that are dominated by the European market, while July and August are normal sales seasons for enterprises whose main markets are in the Americas, Africa, and Asia. Because companies in these countries operate as usual in July and August. "the holiday period for Portuguese clients is July 14-27. During the holidays, the company takes turns with colleagues in the department, so they do all the work they do." "German clients haven't been able to find anyone for some time. If they don't answer the phone and email back, it's possible that the whole company will be on vacation." "but most European clients will notify them before they go on vacation. For example, customers in Belgium have told us beforehand that from July 14 to August 3, they will not be in the company until they come back from vacation. " "generally speaking, European customers place their agreed orders before taking vacations and then go on vacation. The biggest fear is that this order will run into problems when it comes to production, because at that time we will not be able to find a customer to negotiate. " "for example, a British customer sent out an order at the end of June and then went on vacation. As a result, there was a problem with the materials of the order. He wanted to discuss with him whether he could be replaced with similar materials, but he could not find him and was afraid of delaying the delivery time. The situation will be very urgent. " Germany: usually 4-5 weeks, usually from July to September, during which three months may take turns. Exporters still have a lot to do while clients in Europe are on vacation, such as finding customers in other markets, training their employees, or simply giving them a break. 1. Before the European guests take a vacation, confirm the order and shipment details with the customers one by one. Otherwise, guests away from home to go on vacation, may not receive work phone calls, will not reply to the work email, when the time to find no one, will delay production and delivery. 2. If possible, try to ask the guest to leave a contact information that can be found at any time, because in the course of goods production and order fulfillment, there will always be one kind or another accident, sometimes having to confirm with the customer personally. 3. If the guest does not place an order, then he should be persuaded to place an order before the holiday, so that when he comes back from vacation, the production is nearing the end or finished. 4. Try to confirm with the guest how long their vacation, in order to arrange the work accordingly. 5. Maintenance of old customers. In the off-season, you can appreciate the value of the old customers, especially in the procurement of a variety of old customers, in this period of time to ask their needs. 6. Develop more markets in countries other than Europe. 7. If the off-season comes and you're really freaking out, find something to enrich yourself. For example, we can study the functions and data of the platform, upload more products, and improve the product information. Those we usually do not have time to deal with, can be off-season operations. Previous: Include cotton yarn, tanned leather in PM package: FCCI Next: Qinyuan CVC fabric Recommending,Providing samples, customizing!